Things that you just wouldn't believe!!! Just when you think you have seen it all, something else makes you shake your head if disbelief! 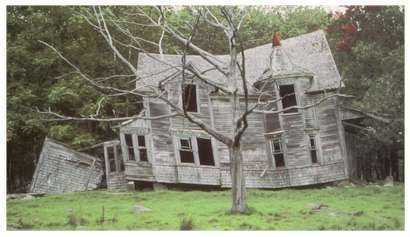 A Bit of a Fixer Upper! Some defects are easier to find than others!!! Flue vents require a rise to vent the poisonous gases out of the home! 2 nails are keeping this deck form sliding off the roof! !